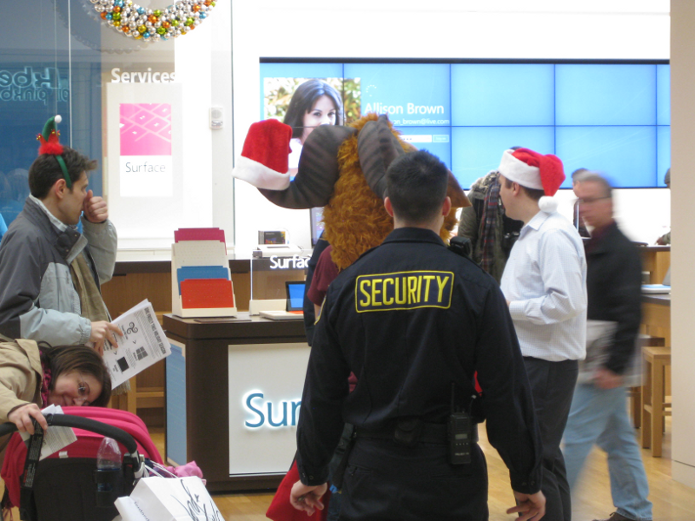 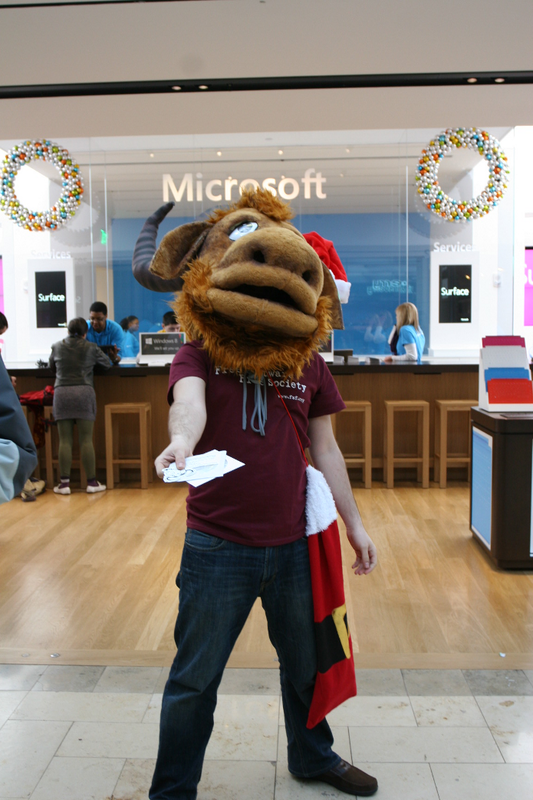 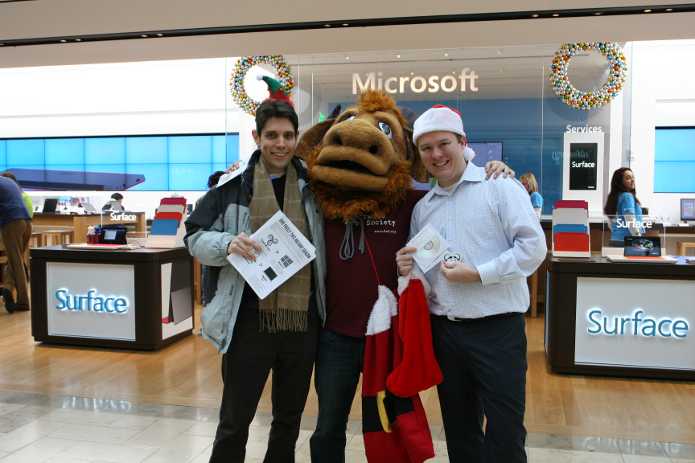 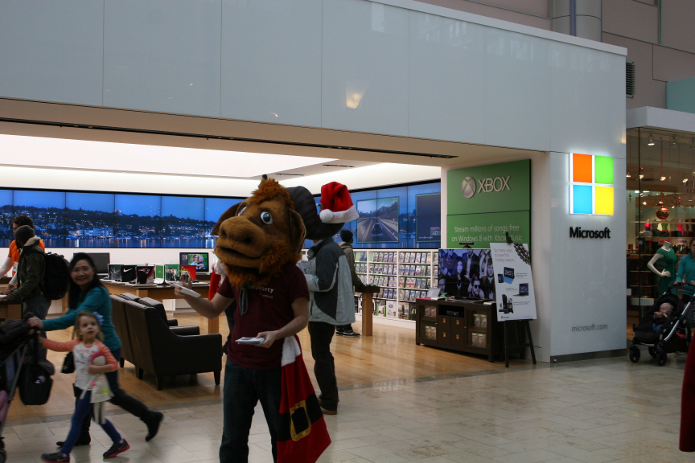 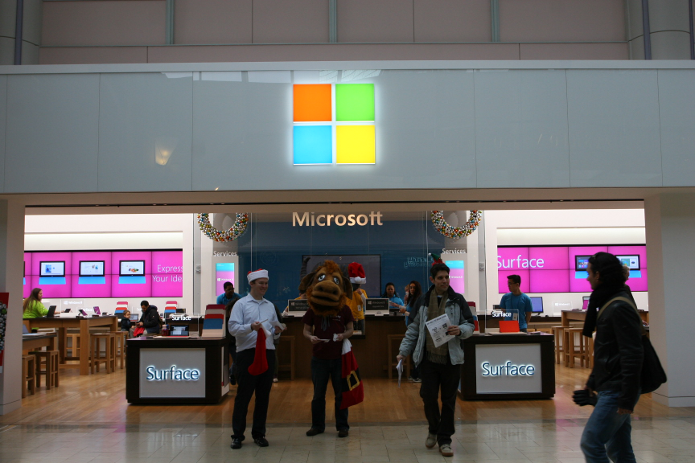 FSF staff and volunteers just returned from Boston's Microsoft store, where we dressed as elves and handed out copies of free software and our 2012 Giving Guide to people out shopping for the holidays. 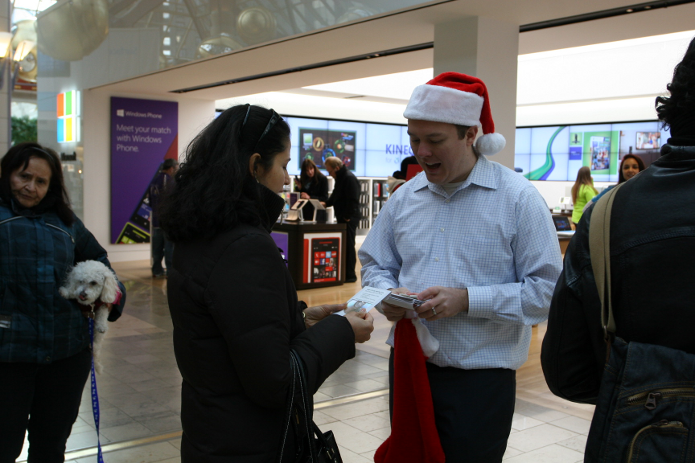 The action is part of our campaign to promote free software as a replacement for Windows 8. 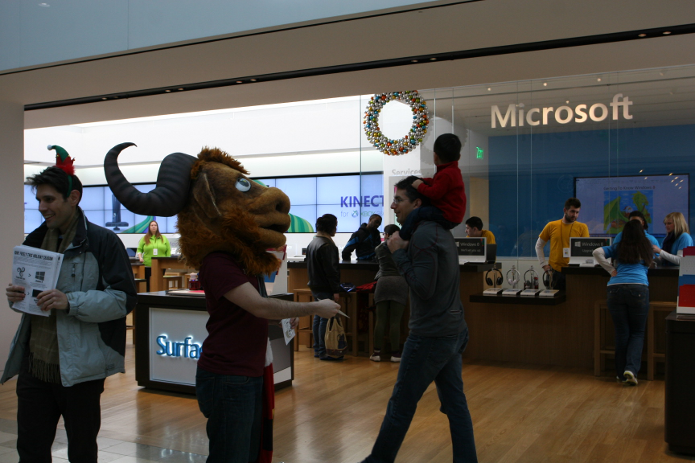 The campaign aims to promote free software while educating members of the public about the restrictive nature of this proprietary operating system, as well as to inform them of Windows 8's dangerous privacy and security risks. 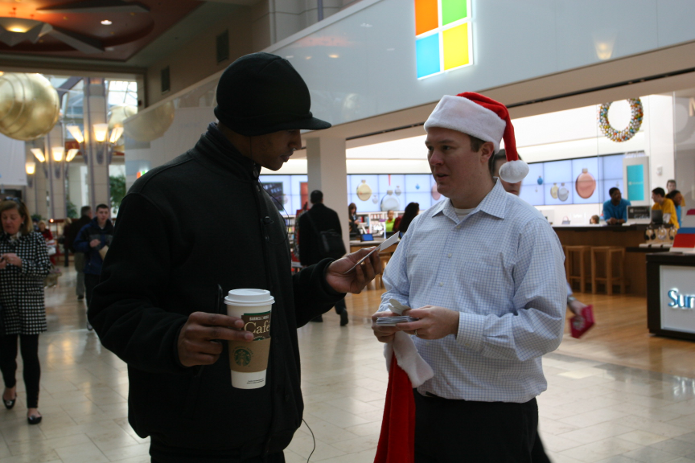 While shoppers were interested in what we had to say (and entertained! 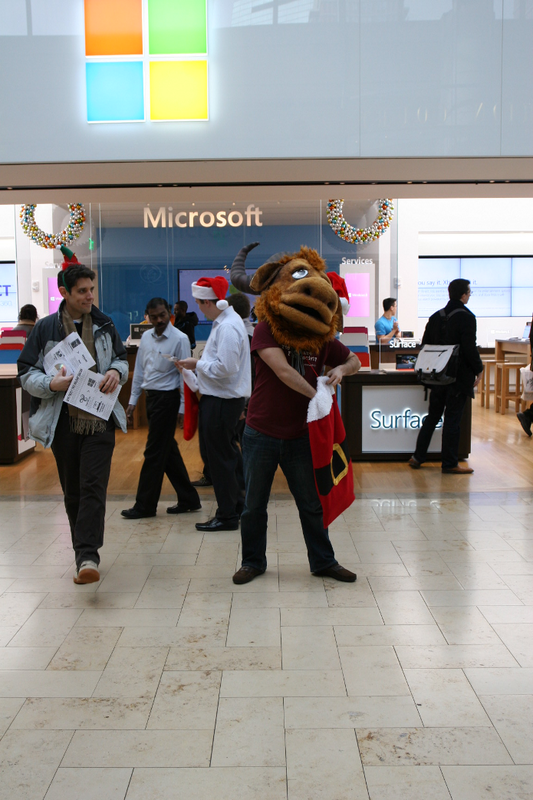 ), Microsoft was none too happy about our stunt. 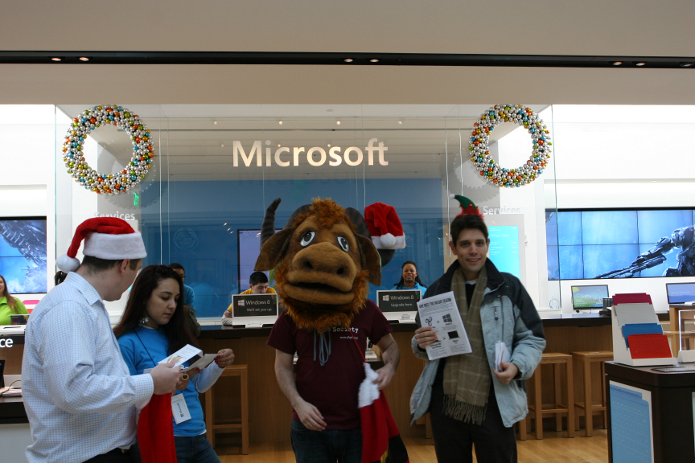 We handed out dozens of stickers, Giving Guides, and copies of free software before Microsoft called security, who asked us to leave. 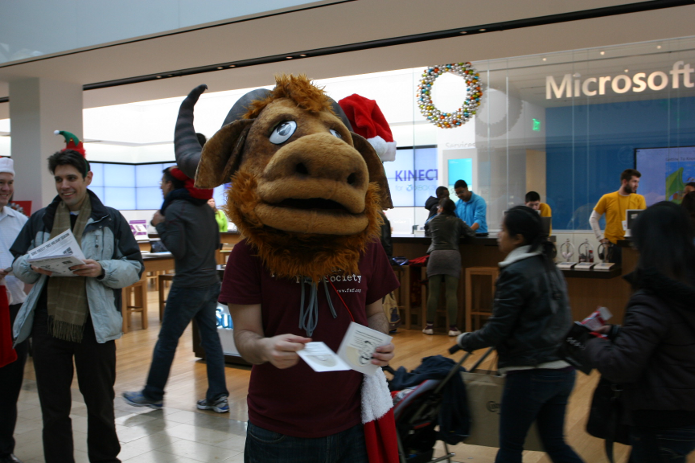 Check out our press release for more details about the action or see the pictures from the gnu's last adventure.